The Greenland population was formerly treated as the subspecies Mergus serrator schioleri. However, the differences are not enough to justify the separation. There are no subspecies currently recognized. 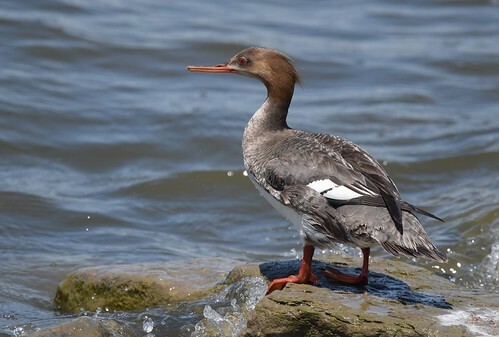 Identifying the two large sawbills, Goosander and Red-breasted Merganser, can be pretty straight-forward when confronted with male birds. However, the females, or redheads as they are more often called, can be much more difficult. This, the latest ID video gives useful pointers on how to confidently tell them apart. 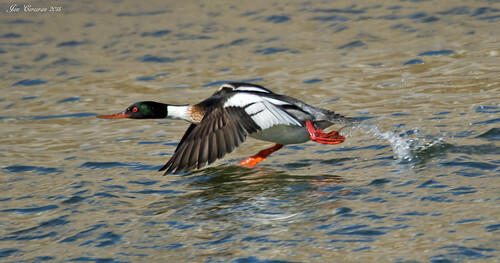 Red breasted merganser diving and catching food. Location: Georgian Bay at Cyprus Lake Campground in the Bruce Peninsula National Park.